The Cruxial Series 4 Post Server Rack expands to fit your equipment, includes a FREE bottom shelf, 50-pack of screws and cage nuts, supports 3000 lbs, and is Made in the USA. This Cruxial Series four post server rack expands from 22.5" to 35.25"d, allowing it to grow with your equipment purchases, and has been designed with a strong "L" shaped universal square hole rackrail. 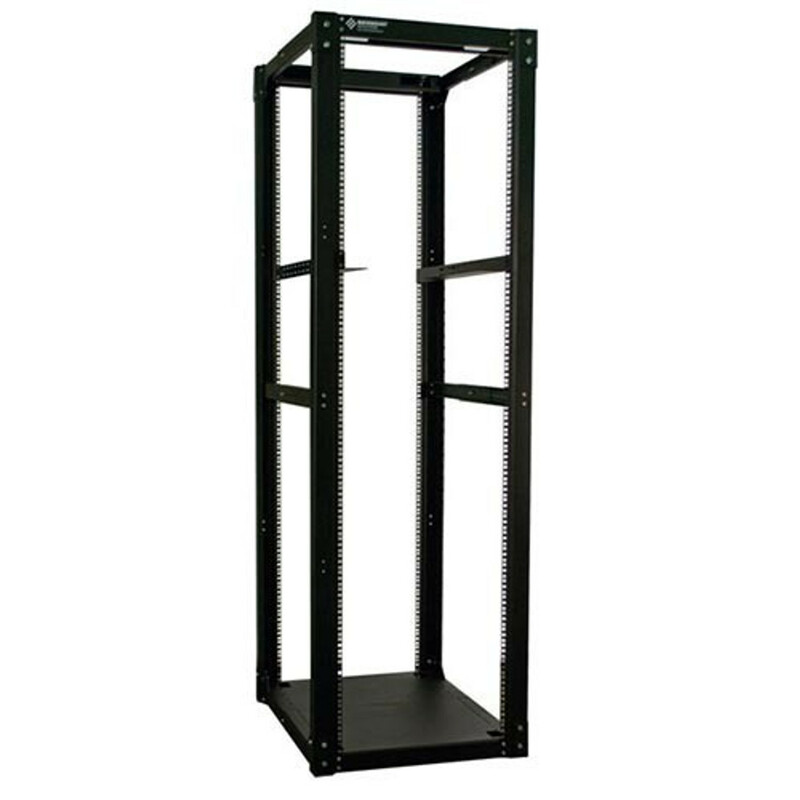 It is ideal for all rackmount servers, KVM switches, and network equipment. Why do we call this open frame rack Cruxial™? It doesn't lock you in to your current equipment depth. Just expand the rack's adjusting rails and no need to purchase another rack. The bottom plates serve as a FREE shelf. This open server rack supports 3000 lbs! How's that for value and making your life easier?